What are kind of cookies are those on the tray? Those look good. 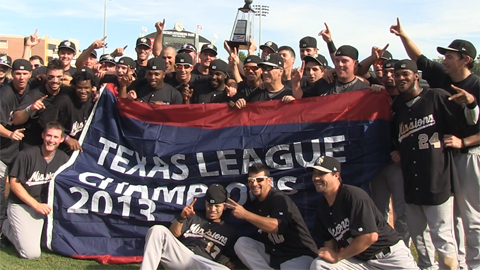 Former Rev Johan Limonta can be seen front and center in this photo, as the San Antonio Missions collected the Texas League Championship trophy and flag. Limonta’s grand slam in the deciding Game 5 sealed the deal for the San Diego Padres Double-A affiliate. Defeated Corpus Christi (Astros) 3 games to 2, defeated Arkansas (Angels) 3 games to 2 to win Texas League Championship. In the deciding Game 5 of the Championship Series at Arkansas, Limonta hit a fourth inning grand slam in the Missions’ 5-0 win. It was his only home run in the postseason, which saw San Antonio go the full five games in each series. This was San Antonio’s 13th Texas League Championship, and their fifth in the last 12 years. Not Bad. (Like the Atlantic League, the Texas League has eight teams.) Unfortunately, Limonta’s triumph comes at the expense of his former Revolution teammate earlier this season, reliever Josh Judy. After departing York, Judy reported to Arkansas before being moved up to Triple-A Salt Lake, and was sent back to Arkansas. 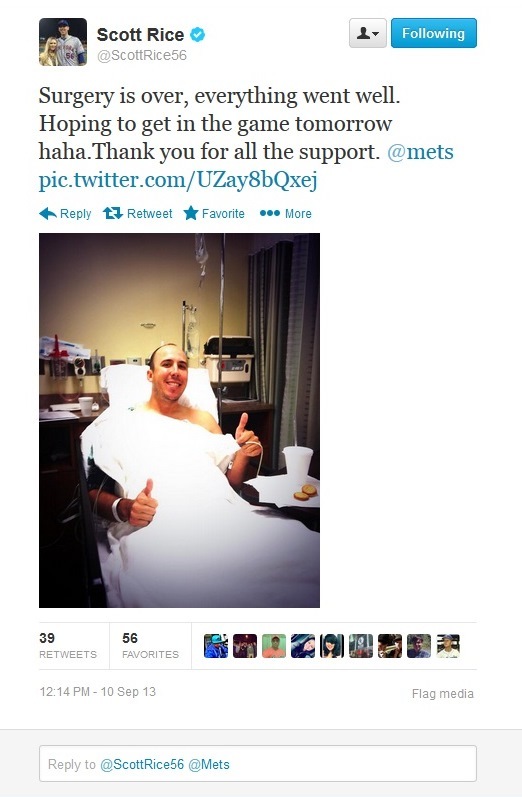 He ended the season on the disabled list. Former Southern Maryland slugger Cyle Hankerd was also with the Arkansas club. Heading into the final week of the season, with the Sugar Land Skeeters comfortably in the playoffs and the York Revolution out of contention, York was still playing the role of spoiler…for the Wichita Wingnuts. 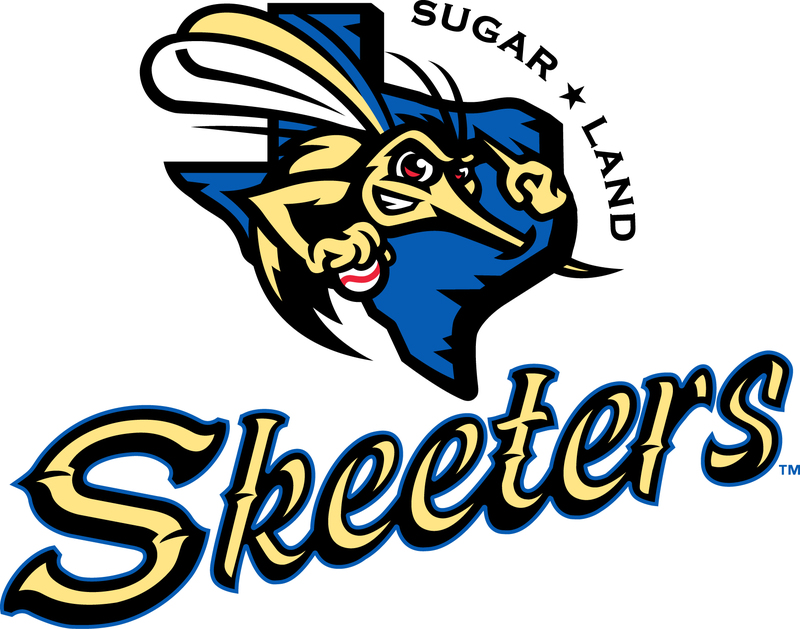 The Skeeters entered the final six regular season games against the Revolution with a 93-41 record, which at the time was good for a .709 winning percentage, by far the best in the domestic professional leagues. However, the Revs had other plans, taking four of the six games in Texas, dropping Sugar Land to 95-45 on the season, which, as you’ll see below, gave the Wichita Wingnuts of the American Association the winning percentage title by a single point. It is worth noting though, that Sugar Land was far and away the best club in “full season” leagues, or leagues that have 140 or more scheduled games. In fact, the Atlantic League’s top two finishers top that category, with Somerset in second. With 95 wins, the Skeeters obliterated the Atlantic League record for wins in a season, which stood for less than a year after Lancaster’s 88 a season ago. That total is now actually third all-time, with Somerset’s 90 wins this season. The full list of each team to play .600 ball or better is below after the jump. In keeping with tradition, the York Revolution honored their 2013 team MVP and Community Outreach Player of the year prior to the final Sunday home game on September 8. 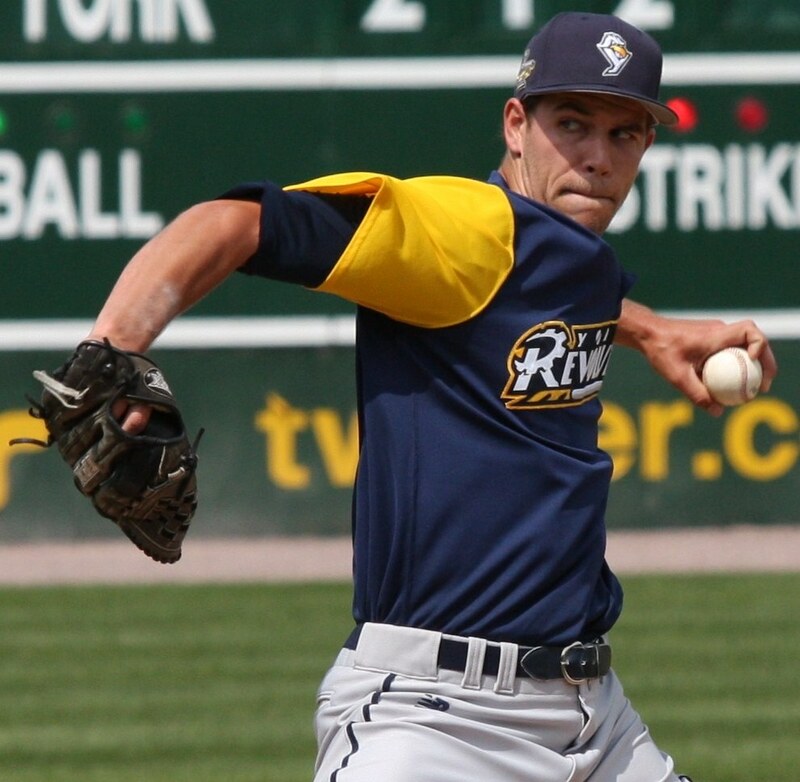 Starting pitcher Chris Cody was named MVP, edging out departed third baseman Andy Marte following his move to the Angels Triple-A club in Salt Lake City. Reliever Rommie Lewis took home the Community award for his help with the myriad of player appearances and speaking engagements throughout the summer. 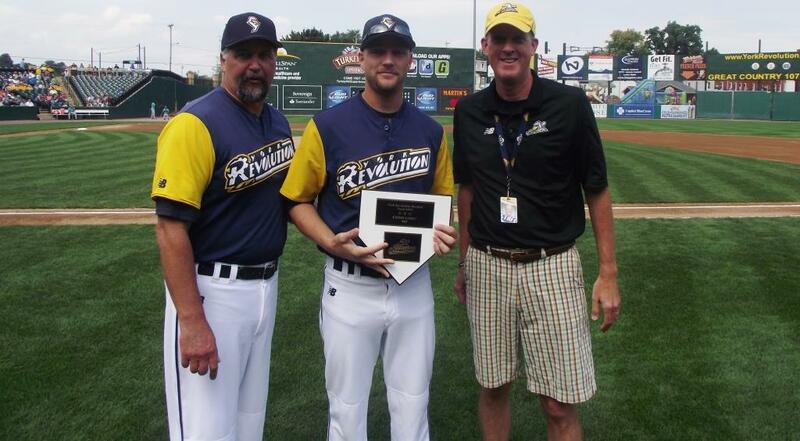 Cody is pictured above receiving his plaque with Manager Mark Mason and Revolution President & General Manager Eric Menzer. 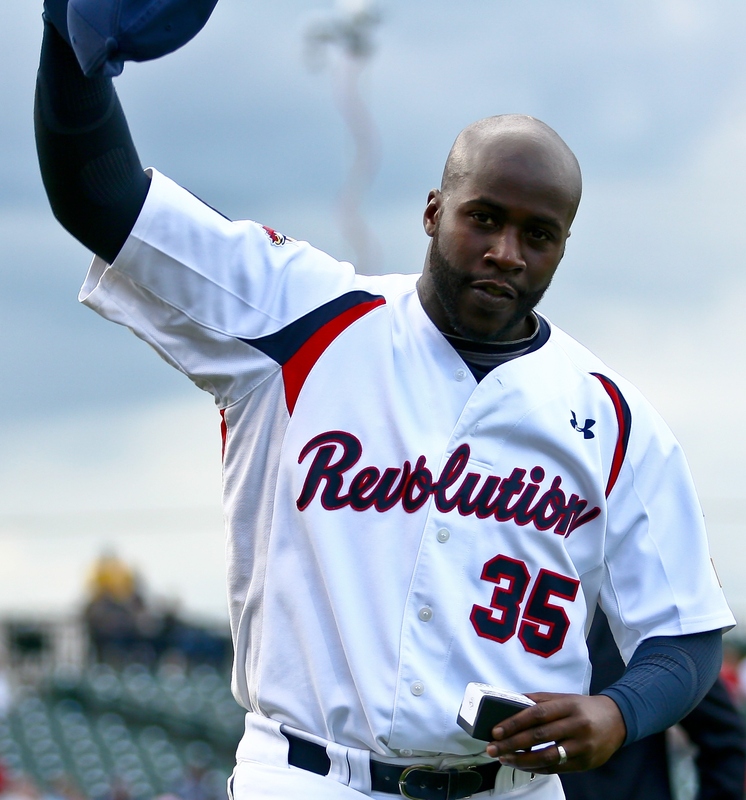 Lewis is no longer with the Revolution, after having his contract purchased by the Lamigo Monkeys of the Chinese Professional Baseball League in Taiwan on August 28. He could return to the club for next season though, depending on what offers he may get from other leagues. If Rommie is back in the Atlantic League, he’ll be back in York. At long last, I’ve found a way to work “shoves” into a headline here. But it’s never been more appropriate. 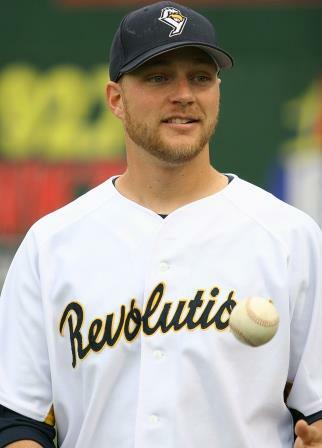 Former Revolution reliever Ian Thomas (’12), had been excelling as a long man out of the Mississippi Braves bullpen this season. The powers that be with Atlanta saw something in him, and decided to convert him to a starter, a decision which has proven to be fruitful not only for their Double-A club but for Thomas’ prospects of reaching the big leagues as well. Last night Thomas got the ball with his club trailing the Mobile BayBears (Diamondbacks) 1-0 in their best of five opening round Southern League playoff series. On the road in Mobile, Thomas fired 5.2 shutout innings, allowing just four hits while striking out four. Thomas earned the win to even the series, as the M-Braves prevailed 4-3. This is Thomas’ second season with the Braves organization after being plucked off the York roster by Atlanta in May of last year after just seven appearances.